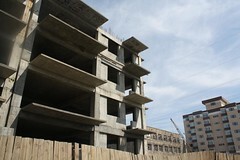 An unfinished apartment in Ulaanbaatar's upscale Zaisan district. 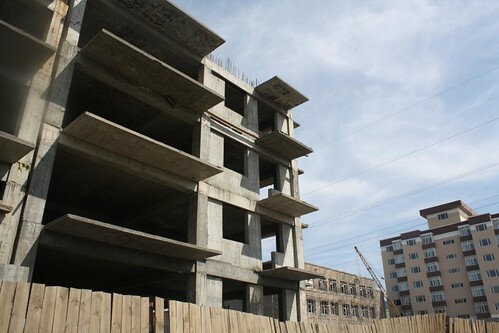 There are hundreds of unfinished apartment buildings all over the Mongolian capital city. These are not meant to house the urban poor; they are mostly high-end apartment buildings, which in better times could be sold or rented at astronomical prices.